Born in Krasnoyarsk in 2000. 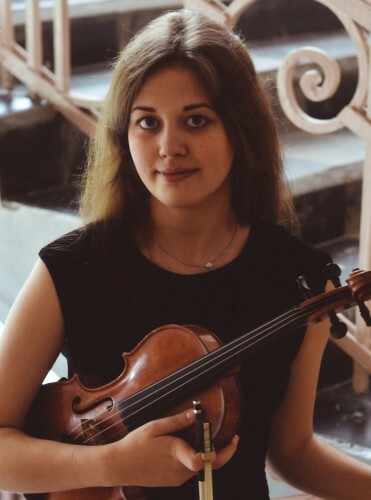 At present, Yulia is studying at the Music College at the Novosibirsk state conservatorium named after M.Glinka (class of an honored artist or Russia prof. Elena Baskina). 2018 - the 2nd prize of the 10th International “The Young Vladivostok” competition for young performing artists. She participated master classes by Zakhar Bron, So-Oсk Kim, Vadim Repin (as part of the 5th Trans-Siberian Art-Festival).